Very clean and friendly. Best home cooked meals with special touch. Excellent friendly service from all staff. Made you feel like family. I love that the beach and pool are right there. The staff was one of the friendliest hotel staffs I've ever met. My girlfriend and I felt very welcome and comfortable from the moment we arrived. Right on the beach and everything you need in this little apartment. Great and hospitable staff and gorgeous, clean pool. Decor a little dated but who cares when you are sitting on this beautiful private terrace. The greek salads The nice and friendly reception service. Thea is a great consellor for nearby trips. Room service is on top. Beach very close, swimming pool nice, staff superb. The breakfast was delicious, the staff is really nice. Location is nice an quiet, the kids really enjoyed the stay. Katerina her cooking is amazing!!! Excellent location, comfortable room, perfect service and incredible food at an affordable price. If you are looking for a quiet place to rest and enjoy the sea for a few days in Chania this is your place! 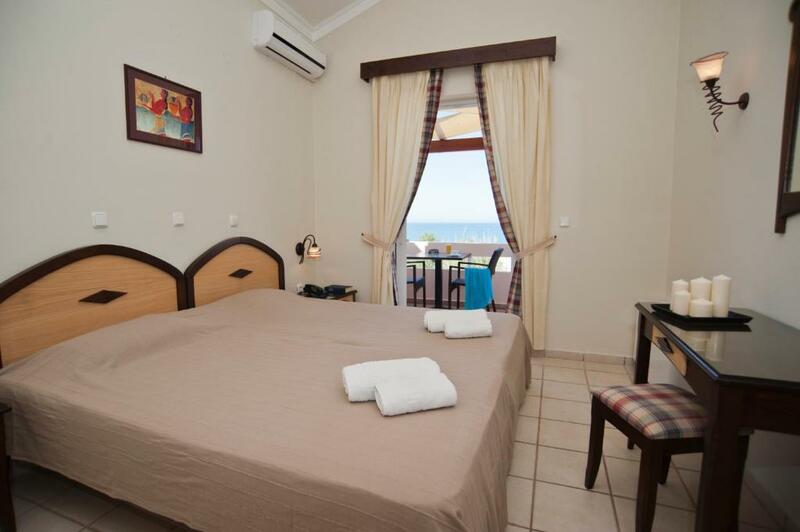 Lock in a great price for Hotel Caretta Beach – rated 9 by recent guests! Hotel Caretta Beach This rating is a reflection of how the property compares to the industry standard when it comes to price, facilities and services available. It's based on a self-evaluation by the property. Use this rating to help choose your stay! Set right on Platanias beach, on grounds full of orange and olive trees, this apartment-style hotel suits guests in search of a memorable Cretan vacation. Whether you are looking for a romantic getaway or fun family vacation, Hotel Caretta Beach caters to your every need. Spend the day relaxing on your balcony and enjoy stunning views of the Aegean Sea. Traditional Cretan cuisine is available at the beach pavilion, where you can also enjoy breakfast at a time that suits you best. If you prefer, you can also make use of the kitchenette and facilities in your spacious guest unit. The outdoor pool provides a great alternative to swimming in the sea and includes a special kids section. This way you can watch your children splash in the water while sipping a refreshing drink at Caretta's bar. Tours of the island, as well as hiking trips and rental bikes, can be arranged at the front desk. This is our guests' favorite part of Gerani, according to independent reviews. 뀐 Located in the top-rated area in Gerani, this property has an excellent location score of 8.8! 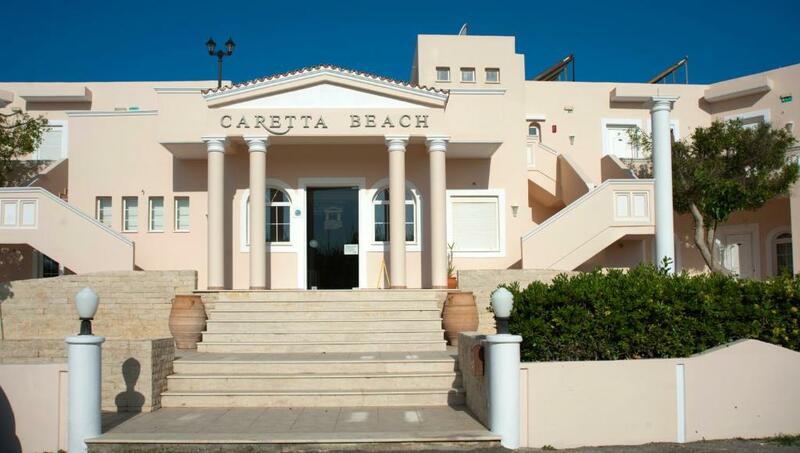 When would you like to stay at Hotel Caretta Beach? Modernly decorated studio with a kitchenette and balcony or terrace. Please note that the extra person is accommodated in a roll away bed. Featuring a separate bedroom, this modernly decorated apartment comes with a kitchenette, living room and balcony or terrace. Enjoying Cretan Sea view from its balcony or terrace, this modernly decorated suite consists of a separate bedroom, living room and kitchenette. Dear Guest, please allow us to introduce ourselves. We Karen, Manolis and Alexander are the family owning the Caretta Beach and we would be very excited to welcome you in our Hotel. We are looking forward to your visit! House Rules Hotel Caretta Beach takes special requests – add in the next step! Hotel Caretta Beach accepts these cards and reserves the right to temporarily hold an amount prior to arrival. Kindly note that all units are non-smoking. Hand held shower trickled rather than giving you a real shower but you get used to it. Deco a bit from the 80’s, especially the rooms look out-dated. Warm water not always working. Kitchen is small and limited. In the place, where you are a little bit far from other restaurants you may need better facilities for the kitchen. I think the hotel shall take some time and clean the beach from stones, seaweeds. This is my understanding. If the hotel positions itself as a hotel with access to the beach, the hotel shall take some efforts to make it more comfortable. Wi-fi was not working in our room, but I think this is a temporary problem as in all other areas of the hotel wi-fi was of good quality. Staff is amazing, people are kind, supportive. The best staff I have ever met in any hotel. The apartment is clean and comfortable, the pool is nice, enough place for parking. Nice and comfortable beds at the beach. Food in the bar/restaurant was good. Wonderful location just by the beach. Warm and serviceminded staff. We celebrated our wedding anniversary and Thea and her staff made our stay very pleasant. 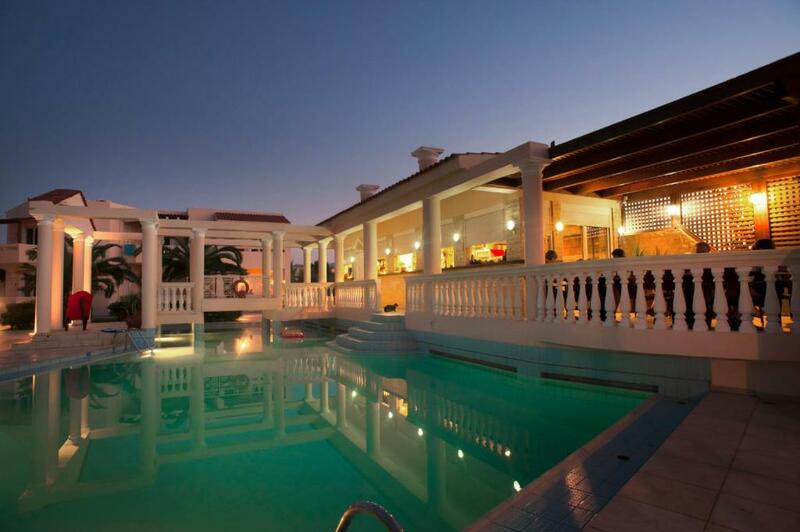 For a calm and relaxing holiday we can definitely recommend Caretta Beach and would love to return. The aircon in the living room/second bedroom was not very powerful, although very good in the main bedroom. A minor issue. This hotel is right on the beach in a tranquil location. Our apartment had 2 good sized balconies with beautiful views. Cleaned and new towels and bedding regularly. The pool was great, no difficulty getting sun loungers, and a nice pool bar for drinks and snacks. They also offered a home made special for dinner every night. The staff are very helpful and friendly. A short drive to Platanias if we wanted more activities. Caretta Beach provided us with a fabulous holiday in a great location. The staff were superb. Jhea and her team could not have done more for us, Katerina's cooking was superb, and the service from Jhea, Adonis. Ritsa and Vasaliki was first class. The Gerani area was lovely in that it was quite quiet, and apart from the great food at the Caretta, there were a number of excellent restaurants close by, at reasonable prices. The beach is a mix of sand and shingle, but kept very clean. It was our first trip to Crete, and we loved all we saw in that North West corner of the island. If and when we go back to Crete, it will be to Caretta Beach. excellent service! special thanks to Thea, Katherina and Vasilikia! Nice peaceful atmosphere and a very friendly staff. Excellent food! The Street was not on our Google map, but we asked at the local supermarket.